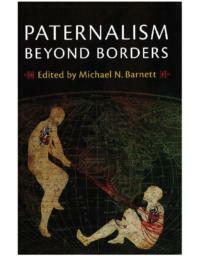 Based on several years of fieldwork in conflict zones around the world, this book chapter studies how paternalism manifests itself in international peacebuilding on the ground. Two main elements are at the root of the paternalistic attitudes that recur in international peacebuilding: first, the idea that local populations need help because they lack capacity and expertise, and second, the belief that international actors have the capacity and the knowledge required to provide this help. The politics of knowledge at work in international peacebuilding lies at the source of these two recurrent narratives, and it legitimizes international interference. On the ground, the most important consequences of the resulting paternalistic attitudes are that host populations regularly resist, challenge, or reject the international programs that are meant to help them. Rare exceptions to the dominant paternalistic practices evidence the benefits inherent to alternative approaches. However, three main obstacles – the role of accountability structures, the dilemma that international interveners face, and the detrimental byproducts of the politics of knowledge at work in the peacebuilding field – make it particularly difficult to change and end these widespread practices.